This article explores how the first general election after the independence held with expectations, and fears. The vital concerns were the spread of the constituencies, division of the population in caste system and faith and beliefs. On the other hand, positive signs were willingness of political parties, and availability of the constitution as the guiding principle, and structured election commission. It shows that how election paved the way for sensitization of minority groups, and twisted linguist aspects in reshaping the states as well as India as democratic country. The elections held in amidst of the mingling of hope and fears. However, the election’s immediate outcome came with emergence of state parties, as well national parties. Using the historical method, the major concern was the exploration that how the first Indian Election influenced the limits and delimits of the Indian states and even constituencies, and it creates a room for further exploration regarding the learning of Indian democracy, and politics. SALMAN AL-SHAMMARI, Nadia Abdulkhadim; DALI, Azharudin Mohamed. THE INDIAN ELECTION OF 1951: FIRST TEST AS A NEW INDEPENDENT DEMOCRATIC STATE. SEJARAH: Journal of the Department of History, [S.l. ], v. 27, n. 1, aug. 2018. ISSN 1985-0611. 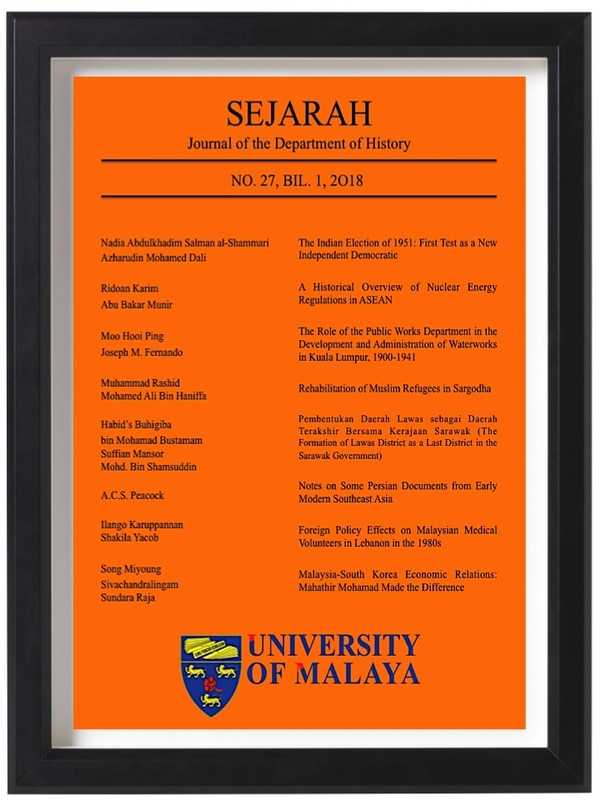 Available at: <https://ejournal.um.edu.my/index.php/SEJARAH/article/view/9782>. Date accessed: 22 apr. 2019.